Halloween just passed and you know what that means…..Thanksgiving is right around the corner. Every year we spend the month of November preparing and planning for the largest feast of the year. Who is supposed to bring what? What time are we eating where? How are we going to prepare our Turkey this year? These are just some of the questions that we begin to think about as soon as October rolls into November. Each recipe that we post this month will be dedicated to the preparation of traditional Thanksgiving foods. These dishes would also be considered a great addition to any autumn or winter meal. Where we live, the Fall harvest season has come to an end. The pumpkin patches no longer are full of visitors finding that perfect pumpkin to carve, the corn mazes are now empty, and all the gourds, squashes, and decorative corn stalks have found new homes. 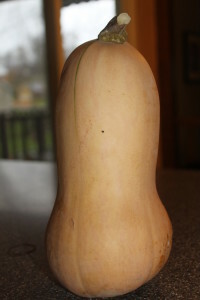 During our last trip to the pumpkin patch this year, we purchased a Butternut Squash. I have to be honest, this isn’t something that we make on a weekly basis, or even monthly. But there is something about the chill in the air and the smell of pumpkin and squash that puts you in the mood for the holidays. Butternut squash is often prepared as a traditional side dish at Thanksgiving. It’s also used in many soups and is a common ingredient in several pasta dishes. 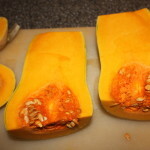 There are several ways to prepare fresh Butternut Squash. Some people bake it whole, and others peel the skin with a sharp peeler. 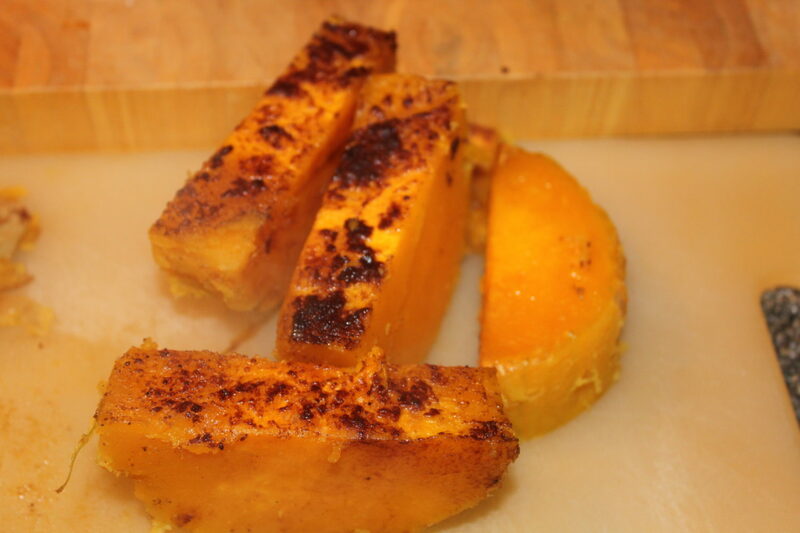 The directions below is our preferred method of creating the ideal cooked Butternut Squash. For our Vegan family and friends, substitute olive oil for the butter and you have a Vegan friendly side dish. ***Save the seeds and roast them as you would do with Pumpkin seeds – they are just as tasty! 11. Once you remove it from the oven, let cool for 5 minutes. Slice in 1/2 inch portions – removing the skin of each piece. **Please note: Some skin will fall right off, however you may need to cut off the skin on the bottom side or scoop the flesh off the skin. 12. Dice into bite-sized pieces. Now what??? 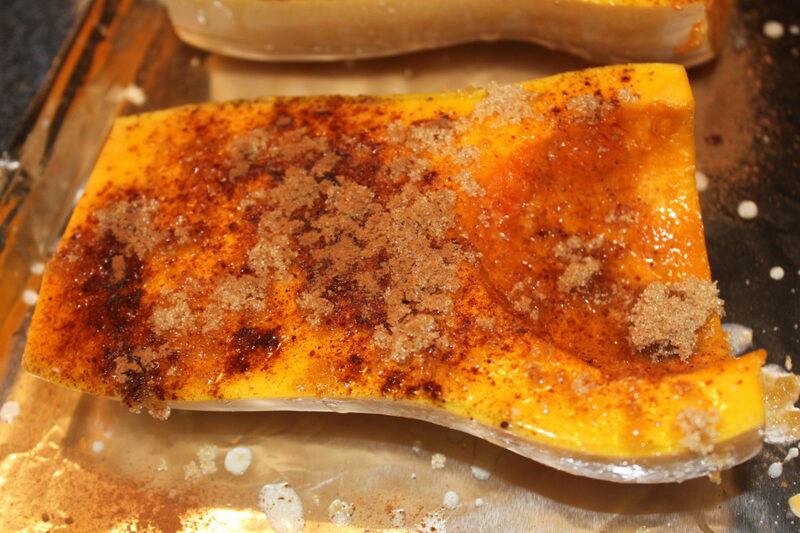 There are several options on how to serve your Butternut Squash. Traditionally you would serve it ‘as is’ as a side dish. It is a tasty compliment to your Thanksgiving Turkey, traditional meatloaf, or as part of a pasta meal. 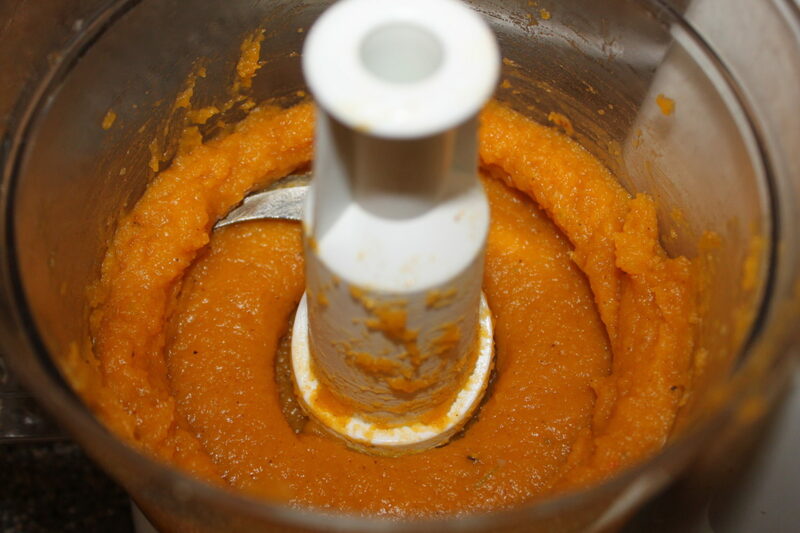 You can also place your diced (or scooped) pieces into a food processor to make a puree for use in soups, sauces, and casseroles. 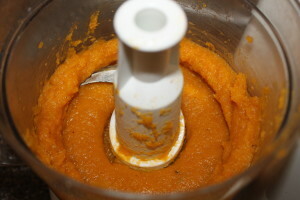 I even freeze my butternut squash puree for future use in comfort dishes that we tend to crave on those cold winter nights. There are several cooking websites that can show you additional recipes to use with your freshly roasted butternut squash. Whatever you choose to make with your Butternut Squash, it is really easy to make it from scratch! 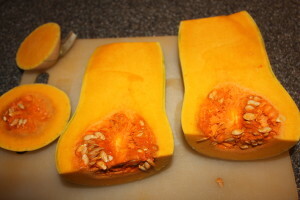 Scoop out seeds and 'gunk'***Save the seeds and roast them as you would do with Pumpkin seeds - they are just as tasty! Once you remove it from the oven, let cool for 5 minutes. Slice in 1/2 inch portions - removing the skin of each piece. **Please note: Some skin will fall right off, however you may need to cut off the skin on the bottom side or scoop the flesh off the skin. ← Building A Cool Mailbox From A Pallet – For Under $13!